Incumbent upon the leadership of each particular Church and upon the leadership that serves the various faith communities at the local level, is the responsibility to facilitate wherever possible reconciliation between Indigenous and non-Indigenous Australians. To establish an authentic unity among peoples, a just relationship must be forged with humility and driven by prayer and love. Any gulf between cultures that give rise to exclusion, suffering, despair and injustice cannot be tolerated. The Gospel imperative demands that we advocate at all times for truth, inclusion and fairness. Any proclamation that fails to abide by such an imperative is not the Gospel. It is not Good News. 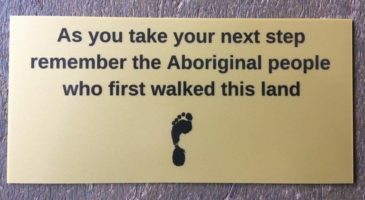 Perhaps the greatest realisation we might come to as a faithful people, Indigenous and non-Indigenous together, is that Aboriginal and Torres Strait Islander peoples not only have a rightful place in Australian society but they have a uniquely important contribution to make that will enrich our lives, our nation and our Church. In the words of the Holy Father, at Alice Springs: “…the Church herself in Australia will not be fully the Church that Jesus wants her to be until you have made your contribution to her life and until that contribution has been joyfully received by others”. The Campaign’s goal is to close the health and life expectancy gap between Aboriginal and Torres Strait Islander peoples and non-Indigenous Australians within a generation.